The RINGS Experience is designed to provide couples with the tools and skills to help couples build strong and lasting marriages together. RINGS is designed for couples that are serious about marriage, whether they are already married, engaged, or dating. If dating, couples are strongly encouraged to have discussed marriage together in their relationship before participating in RINGS. 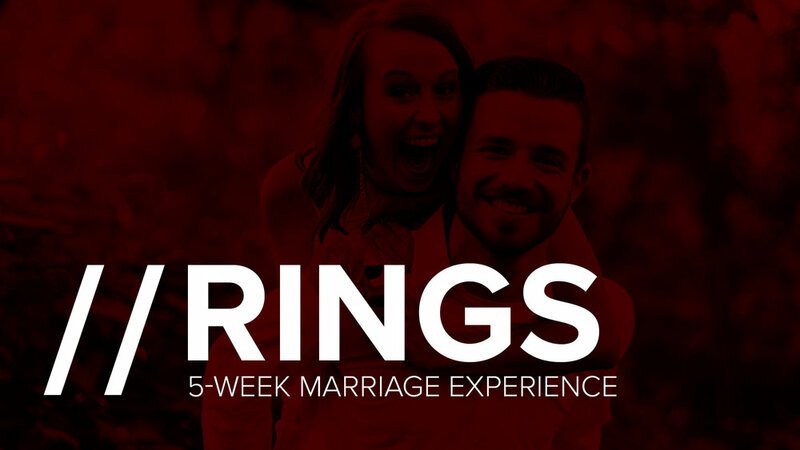 Over five weeks you will hear testimonies and real-life examples of how RINGS has made a difference in the lives and marriages of hundreds of couples, as well as how you can practically implement these same principles in your own relationship. RINGS will meet for five weeks on Sunday mornings at 10:15am in The Octagon. Registration for this session of RINGS is full and sign-ups are now closed. Watch our calendar for future sessions of RINGS and other marriage and relationship resources.